At computer class, Barbie presents the game she designed. Ms. Smith is so impressed that she gives Barbie a 100%! 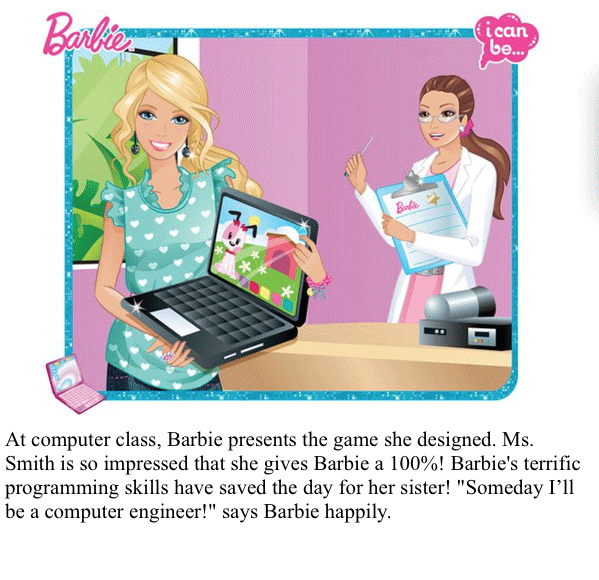 Barbie's terrific programming skills have saved the day for her sister! "Someday I’ll be a computer engineer!" says Barbie happily.